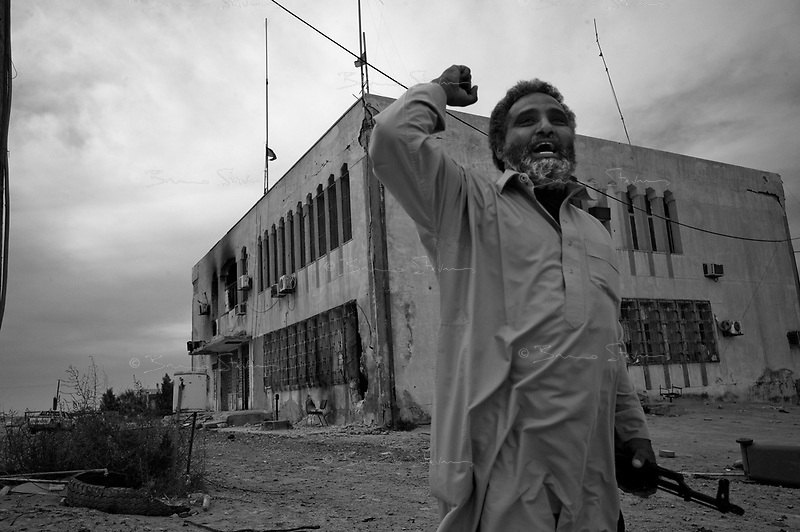 Ben Jawat, Libya, March 12, 2011.Abdel Khader, an local Khaddafi supporter, in front of Ben Jawat burned down police station. This small town marked the westernmost point reached by rebel forces befor being repelled by Khaddafi's artilery and aviation. Picture taken during an trip for foreign journalists organized by the Libyan Foreign Media department.